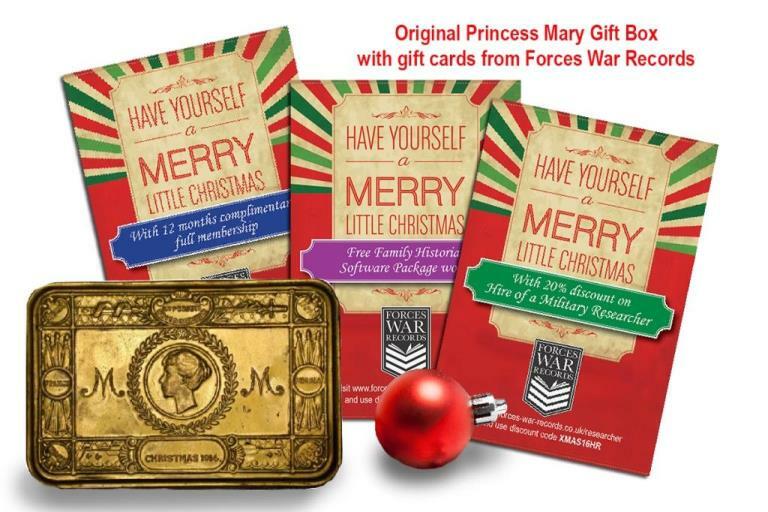 Pre-Christmas gift from Forces War Records - Original 1914 Princess Mary’s box with gift cards inside. Become a full member between 4th and 11th December and this could be yours. Why not give the gift cards as Christmas presents. Become a full member between 4th and 11th December, 2016 and this could be yours. Why not give the gift cards as Christmas presents.